Readable, practical and accessible commentary on the book of Mark. Mark tells the story of Jesus simply, but with great emotional power. Paul Barnett's explanation of this Gospel will help readers understand the world of Jesus more clearly and respond to his claims on their lives with greater energy. 1. Why should we read Mark? 2. Why should you read this book? 5. Who wrote this Gospel? 6. Who was John Mark? 7. Is Mark a history of Jesus? Dr Paul Barnett combines practical ministry with Biblical scholarship. He is an international lecturer in New Testament studies, and has authored numerous books. He has pastored two parishes and served as chaplain at both the University of Sydney and Macquarie University. Paul Barnett was, until 2001, Anglican Bishop of North Sydney, Australia. I am using this book to prepare for a Bible Study. Readable for a lay person. Good insights and application points. Have used the questions at the end of each section for discussion. This is a non technical commentary which reads very easily yet gives plenty of depth into the text of the Gospel according to Mark. The big themes across the book come out very clearly. The book starts with an brief introductory section which helps to focus when studying the rest of the book. Each chapter is fairly short and has a few questions for reflection. This makes it good to help with personal/group study as well as a reference volume. 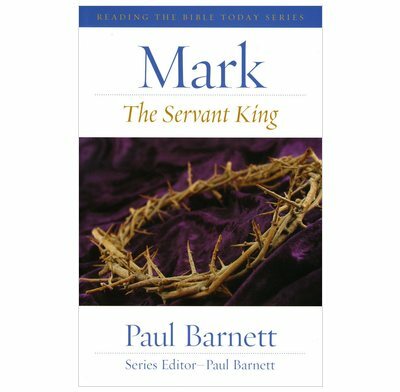 This is an excellent book for those looking for a more in depth study of Mark's Gospel without going into voluminous detail. It is well written and easy to follow. Very helpful for personal study, 1-1 Bible study and leaders of small groups.